Can I See My Future? With psychics I believe they can only give you probable futures. As we know our life path is determined by every action we take. Considering the fact that we all have free will, free will of yourself, and the free will of others, you life can turn out numerous different ways. In cases of asking psychics about love and relationships you should consider the free will of both parties involved. They both have to make a commitment to wanting the same outcome. They both must be willing to pursue the relationship on a deeper level. This is one reason why I shy away from love spells with a particular person or a specific outcome. You should be asking for what is right for you, not for just what you want. Some psychics can tell you a probable future based on what they see today, but things happen, decisions and choices are made, and you probable future can be completely different. So what is true for today might not necessarily be true for tomorrow. So there really isn’t a way for someone to be told their final futures. Psychics are people limited by what their visions allow them to see. Opening your own third eye might be able to give you more reliable and informative information as things change and evolve. We are actively creating our futures in every moment. You are creating your future right now in everything you think, dream of and pursue. Be an active part of your life goals by creating them with action. So for all of you who want to know the future I would say let go and know that creating your future is way more important than knowing your future. You should trust yourself and listen to your heart. You matter, and I truly feel we know what is right and what is wrong for us. It may not be what we want but learning to accept life as life comes is that maturity all humans seek. Remember what you focus on is what you bring to you. So if you find that in your life you are manifesting things you don’t want, then you know that you are worried or fearful of something, and that focus, that intense focus is manifesting things you don’t want. Try to focus on happier thoughts that are based on things you do want. Just allow yourself to know what it is you want. Knowing what you want and allowing your energies and thoughts to focus their draws those things to you. When you worry about how to get the things you want you are setting up road blocks to your end goals. So practices focusing on the things you want. And letting go of the how to get it. That is what manifesting is. You should be manifesting the things that you want instead of focusing on wanting to know the future. 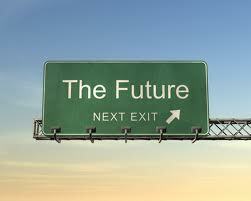 When you ask about what your future may be then you are implying that you don’t have any control. That you can only know what your future is and you can’t control it and that isn’t true we are always manifesting what we want or don’t want. Be aware of your thoughts and monitor your feelings to create your future.